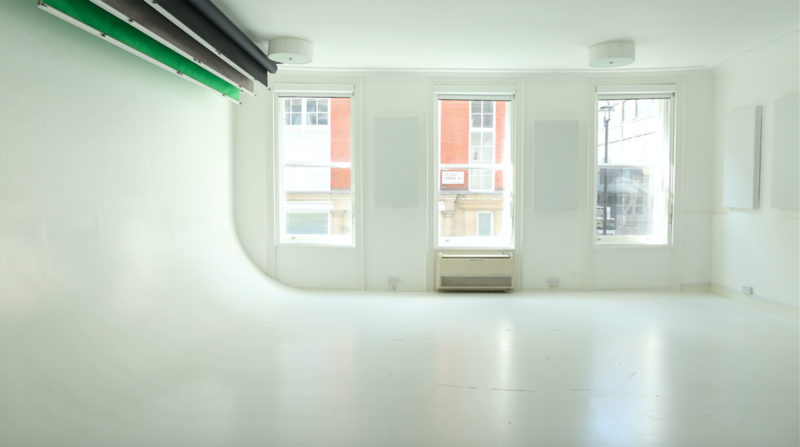 Beautiful & bright space available for hire in central London. West facing bay windows provide incredible natural light all day. These are also equipped with blackout blinds if required. 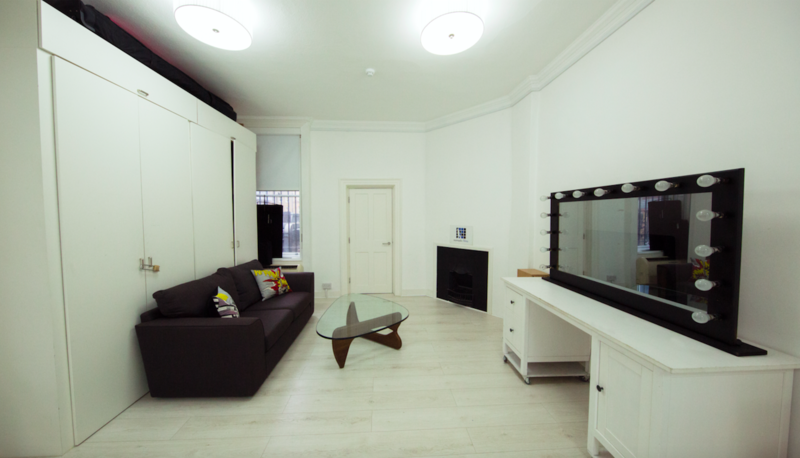 The larger studio (450 sqft) is located on the first floor. 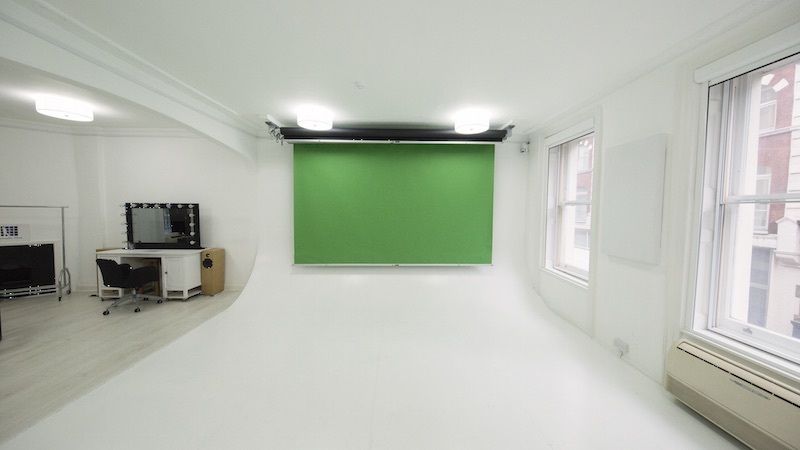 Ideal for castings, stills & video shoots, fittings, meetings & more. 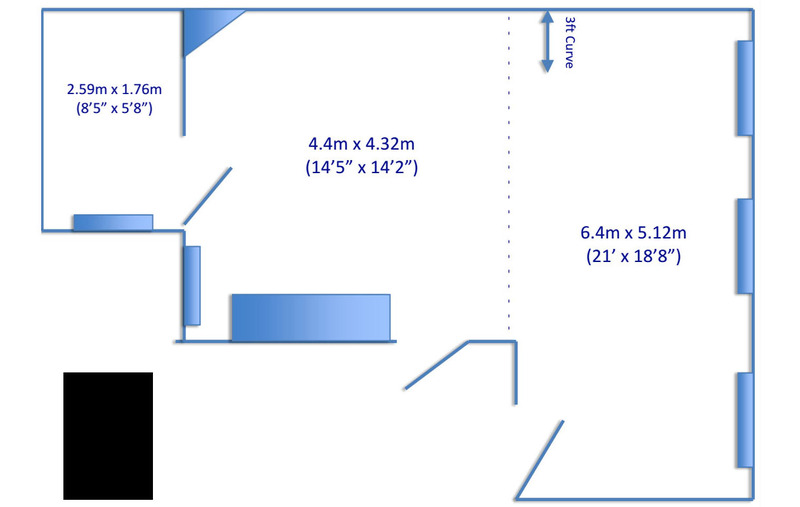 A second space (320 sqft) is also available to hire. Located on the second floor along with a breakout green room that also has a live-link up viewing gallery. Soundproofed double glazing with black out option. Music system with audio jack and bluetooth. Kitchen, sink, fridge, kettle, toilet and hand basin, rear area - refreshments. Colorama - Selection available - always in stock - black/grey/green. Please call or email us with your shoot requirements.